Summer Time is almost over and we can look forward to the lovely Autumn colours. Here at Eau brink Studio we have had a fabulous summer time of making, teaching and of course learning. The long summer days have meant that there has been ample time to dye fabrics using both synthetic and natural dyes. The results have been fantastic as you can see on our social media accounts. 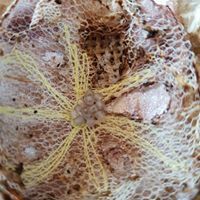 The next natural dyeing day is September 22nd from 10am till 4pm. Through out August we have had a lot of younger persons in learning many different techniques. For example, how to get colour onto paper. Sketchbooks can be very scary things when new but once you add a bit of paint or dye they become amazingly easy to use. We have also got the younger persons to felt, Nuno felt and to use sewing machines. An achievement in its self. They all learnt how to thread the machines including the filling the bobbins. Then to stitch in straight lines, use the zigzag, as well as sew using the programmed stitches. The next step for them was to make cords on the machines before going onto free motion embroidery and the use of soluble film. Getting out and about during the summer has also been fun. I love meeting friends old and new. Talking to customers about my work and trying to explain what I do. These conversations take place at fairs, whilst teaching groups. Of course when asked to talk to a group who supply delicious cakes is always a bonus. What happening with the small holding I hear you ask. Well the bees have not done so well this year as we lost our queens and had to start the colonies again. The lambs have grown very quickly and mums tend to ignore them now as they are too busy eating and piling on the pounds ready for Conkers return. We have had a visit from a fox as we lost a chicken and her two chicks one afternoon. That was a very sad day. It does not appear to have returned so far. We will be ready for it though. Luckily we do have another broody hen sitting on eggs. The ducklings did not fair so well either as they disappeared too over night. We do have a plan for the next years brood. I can report that the ducks are very happy still dropping eggs all over the garden. Which means plenty for baking still. Downham Market Town Hall Sunday 2nd september. From 11am. From the 14th to the 16th September at Hampton Court Palace. So looking forward to this. 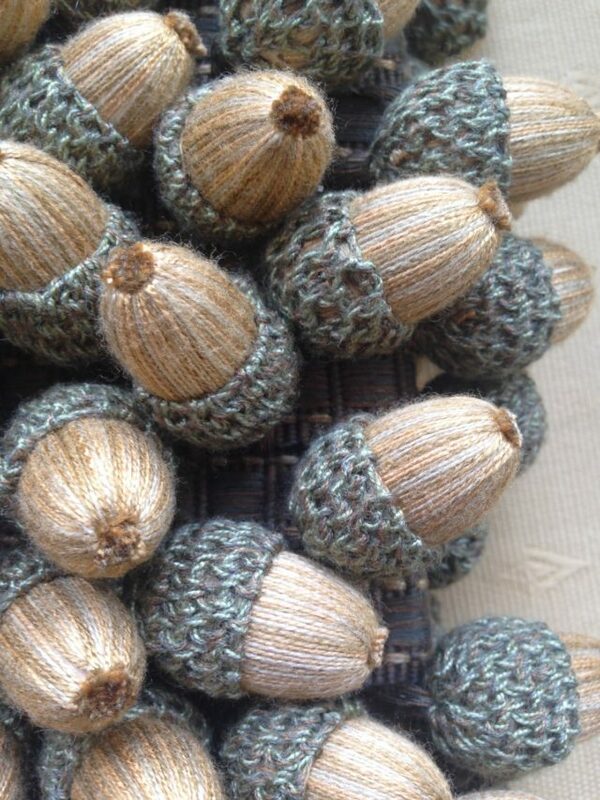 Tiny Acorns to Terrific Tassels! Passementerie Workshop. October 6th and 7th. 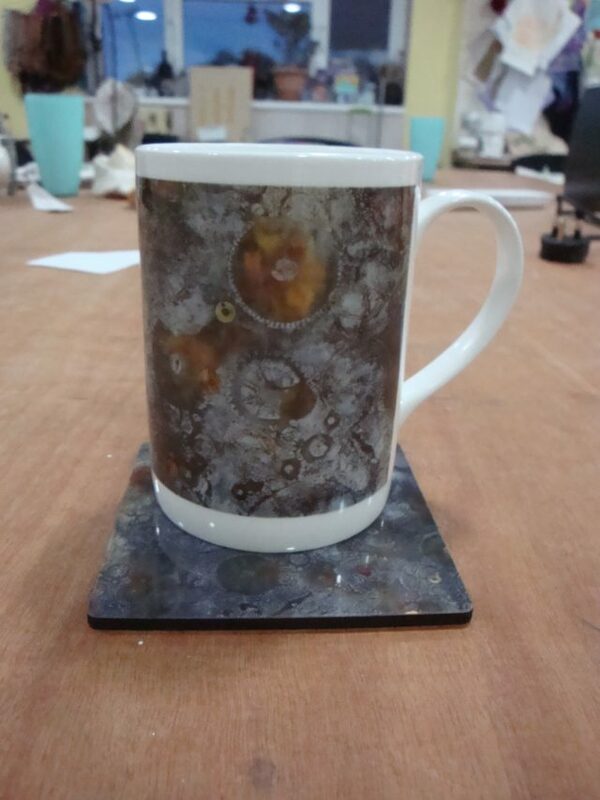 A Busy Week at Eau Brink Studio teaching, making and organising new mugs and coasters. On Monday a lady and her daughter came to learn how to embroider onto calico. The aim was to make little bags to put herbs in to raise money for a local carehome. Tuesday was all about the stitching. Machining items to sell such as the scissor holders. Aslo learning how to make small items of interest for craft stalls. Wednesday children arrived to make a memory book, using many art techniques. At the end we printed out the pictures of them working to pasted them into the books. It was a great day of fun and mess. At the end of the day the books looked fantastic. Powertex Thursday. We had a lovely group in this week including a father and daughter who spent the day making brooches, dog tags, this lovely heart, and may other items. The interaction in the group was great with everyone sharing ideas and helping each other to create fabulous items using Powertex. Our next Powertex workshop is on Thursday 23rd of August from 10am till 4pm. Steaming flowers in fabric to be unwrapped the next day. Sometimes the studio was very fragrant with fruit and flowers and I have to report there was one dye pot that smelt like rotten spouts. Every Thursday is Powertex Thursday and you are welcome to join us at any time. 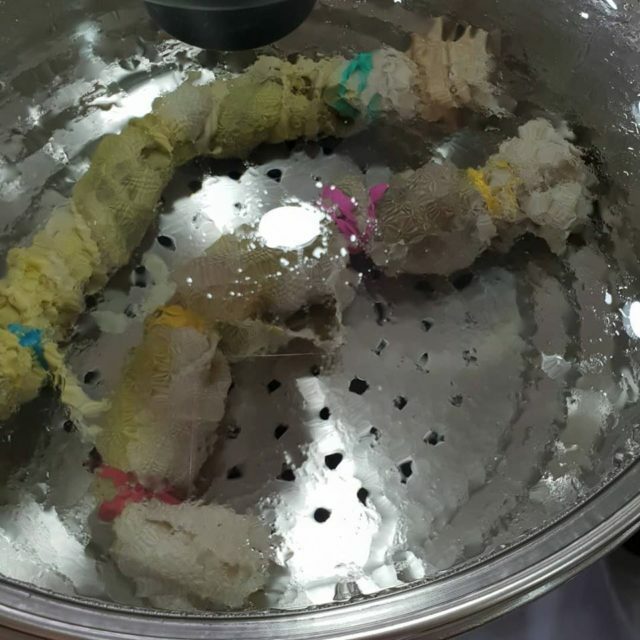 Wednesdays are Experimental days and on the first Wednesday of every month we have a lovely group of ladies who have got together to form the Experimentals group. This group is almost at capacity now so if you fancy joining them come along and meet the ladies to see what we get up to. I will also be at Downham Market selling items at a craft fair on the 2nd of September and at The Hand Made Fair at Hampton Court for three days from the 14th of September. Come along to say hello at any time as the kettle is always on and I always have home made cakes for you to enjoy. The Festival of Quilts this year did not disappoint. The quilts are stunning. I know we all have our favourites, for me it is the Northern lights quilt. Unfortunately this picture does not do it justice. The colours are outstanding and I love the little figures in the foreground watching the night sky. I hope you manged to go to the festival and see the quilt for your self. The winners gallery was difficult to get to once the quilts had been unveiled but they were worth the wait. Here are one or two for you to look at. For the traditional quilts I like this one that a very special lady is standing admiring. It was hard to chose an outright favourite as they are all spectacular. Many of you do know that Jean is my lovely neighbour who has been through a very rough year with her health. We were not sure she would be able to go to the show that she was so looking forward to but she made it. And had a blast. This is Jeans first Festival of Quilts and I hope she will get to go to many more. 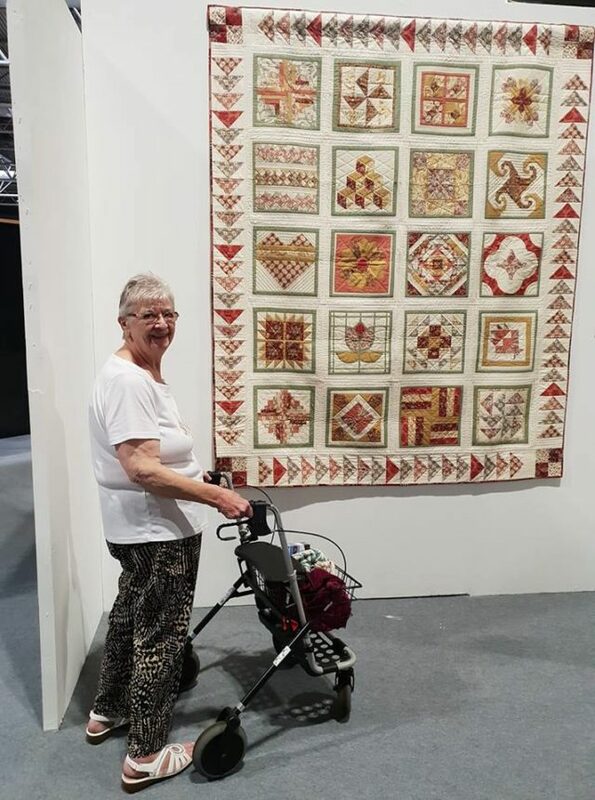 Jean loves sewing and for her to see the quilts was the highlight of her day. she was amazed at the high standards and the variety of different patterns and colours. Besides looking at quilts we also did a little shopping. I did have to purchase three jelly rolls which are now stitched and ready for cutting. As you can see they are very colourful. Especially the Kaffe Fassett one. I could hardly wait to get home and unwrap them. Stitching them was a joy. When they are made into peg bags they will brighten any washing day. I visited a company in Norwich to see what my designs look like on mugs, coasters and cushions. 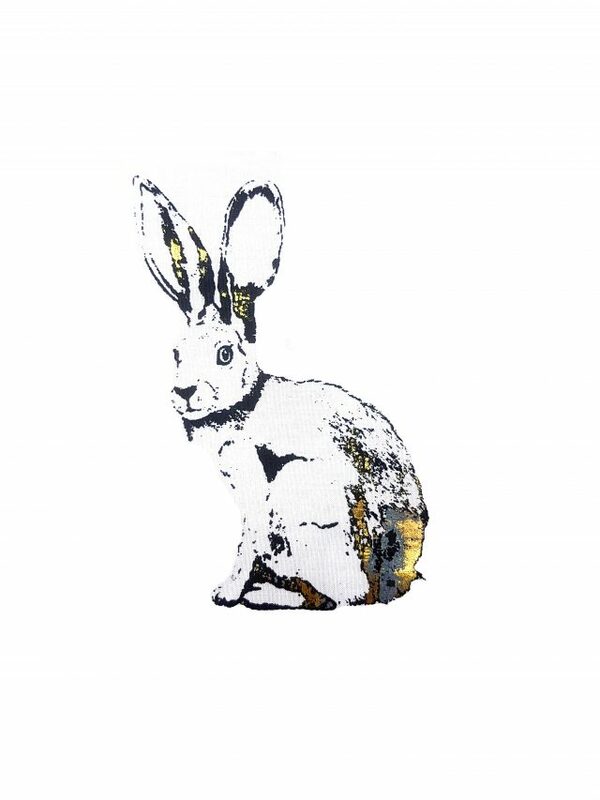 This is one of them which will be available for The Handmade Fair at Hampton Court Palace in September. The mugs are bone china and dishwasher proof. It’s very Steampunk or cosmic depending on how you look at it. I am also planning prints of it which I will do myself when I can get the big printer working. We are nearly there with it. I cannot wait to see what I can produce on it. There is still space on AbigaIl Mill workshop in September. Abigail is at the Festival of Quilts this year and has some new kits which are stunning flowers. And there are also spaces still on Claire Hedges workshop in October where you can learn a traditional craft of Passementerie. That’s weaving braids and making luscious tassels. I am sure if you maned to get to the Festival of Quilts you had a great day or two and have come home inspired. Whats coming up in August? Wednesday the first of August is Experimentals day where the group will get together to create fabulous mixed media items. We are currently working on Magie Grey’s wow books with her kind permission. This picture shows you my first attempt at Mushrooms on page 16 of the Wow book 2. Friday the 3rd of August is for the young textilers who want to learn how to use a sewing machine to its full advantage. the day will include how to set up the machine for straight stitching and what programmed stitches it can do. We will progress to making cords and then free motion embroidery and the use of soluble film. Materials and refreshments are included but not lunch. Young textilers can book into the studio each Friday for a different experience each week for the six week holiday period. We will be covering sketchbook work, which entails creating a sketchbook using mixed media which may or may not include drawing skills, making fabrics from found items, a Process called lamination which helps you to transfer pictures onto fabric, how to make a book from paper and fabric and lastly a little bit of felting. Each Wednesday from the 8th of August the younger children can come along and be inspired to create fantastic art from 10am till 2pm. Parents can drop children off from 09.45. and collect between 2pm and 2.30. Refreshments are provided along with materials. Screen printing day on the 11th August from 10 till 4. Learn how to use blank screens to create your designs using a number of methods including making your own stencils. You also get to use Thermofax screens with pre printed designs. Can be used for paper or fabric crafts. 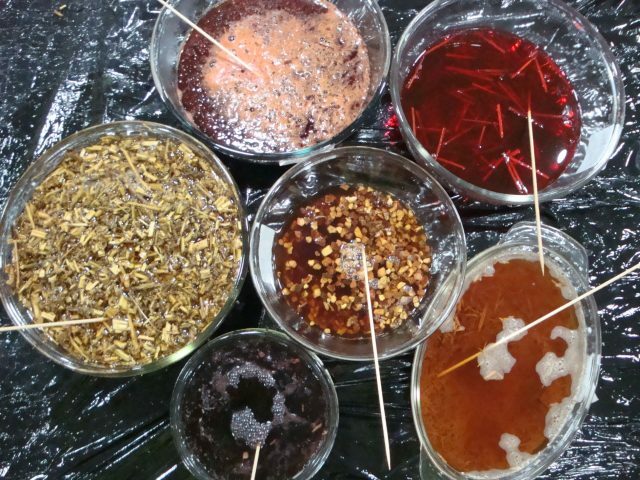 And lastly on the 18th of August we have a beginners natural dye day where you get to learn how to make your own recipes for dyeing fabrics, fleece and yarns. Spaces are limited due to health and safety. And yes finally just a little reminder that on a Thursday it is Powertex day and you can come along to see what this fabulous medium can do for you. A fabric hardener that does much more.